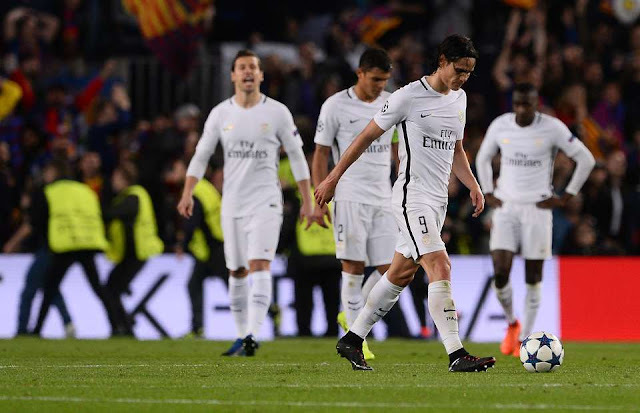 A group of angry Paris Saint-Germain fans, waited for the players and heckled them at the Bourget Airport, following their arrival from a Champions League last-16 tie in Barcelona. Unai Emery’s men threw away a 4-0 lead from the first leg, losing 6-1 at the Camp Nou, as the La Liga side completed a historic comeback. The PSG players arrived back in Paris at 5am CET to meet irate supporters on Thursday morning. “These individuals verbally insulted the players before vandalising their cars,” an official PSG communiqué read. The Ligue 1 giants also confirmed that “a police investigation is underway to establish exactly what happened” and stressed their “readiness” to help figure out exactly what happened.